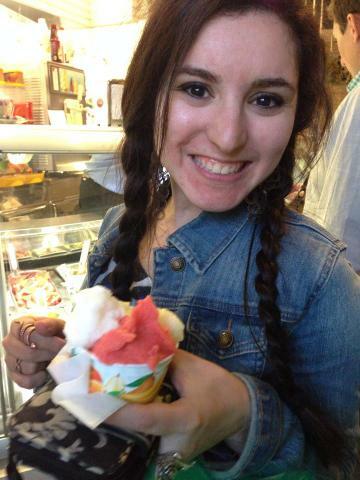 Last year, I had the amazing opportunity to travel to Spain and Italy with the band and scholars program. I had an INCREDIBLE time. Everything about both countries was absolutely gorgeous – the architecture, the art, the landscape and the culture. Another great thing was the food (a super important part of any trip, of course!). One thing I was a little concerned with before embarking on my journeys were managing my food allergies in a foreign country, especially in different languages. It’s already a little tough to find things here in the states, but I didn’t know what to expect in a different country! Many college kids are thinking about studying or traveling abroad, but worried about their food allergies getting in the way. I’m here to tell you that it is possible, if you do your homework and are sure to be prepared. Here are some tips that I recommend based on my experience. Learn the Language (sort of): Look up how to say certain allergens and phrases in Spanish so that I could communicate my needs in a restaurant if need be. Some of the people in both countries spoke English, which was great! But it was also helpful to have basic knowledge of local phrases and vocabulary relating to my food allergies so I could ask. 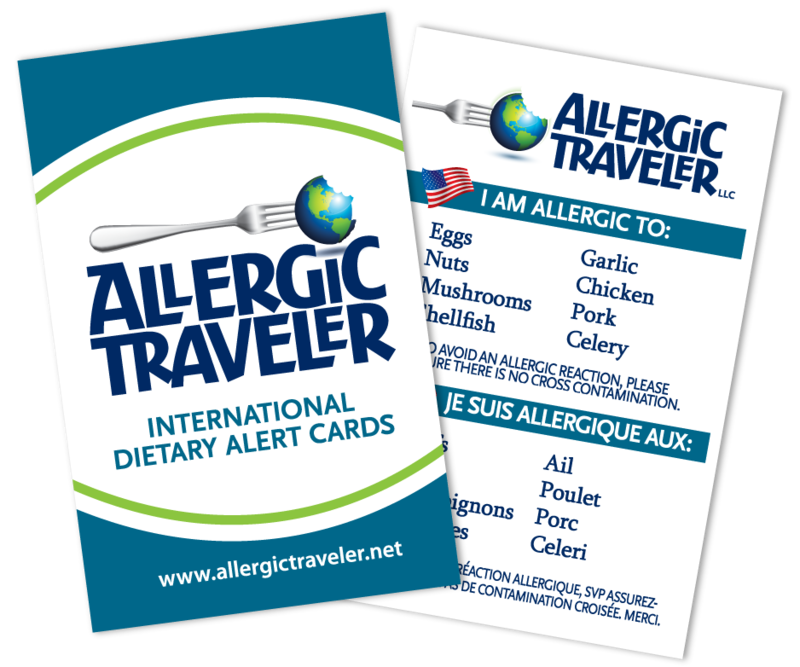 Invest in Allergy Cards: I wish I had known about Allergic Traveler before leaving so I could have cards to bring on my trip and help me out. Talk to Your Leader If you are traveling with a group, talk to whoever is coordinating your trip about your allergy needs. 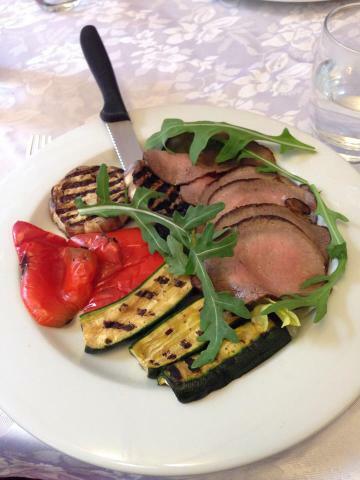 That way, any planned meals are likely to be prepared to suit your requirements. I had a special gluten and dairy-free meal at the restaurants we went to as a group in Spain, and each one was awesome! Call the Airline: If you contact the airline you are using for your international trip and let them know you need a gluten-free meal, they are happy to accommodate you! Just make sure you do it at least 24 hours before your flight. 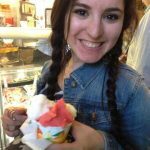 Find Places to Eat: Before I left for Italy, I looked up gluten free restaurants in Rome since we had some free time and could choose where to eat. I ended up finding a FANTASTIC place near the hotel that could make everything on the menu gluten free. Even dessert. Which meant I could get gnocchi in Italy and my life was complete. It was so good, we ended up going there twice. One great thing about Spanish restaurants was the amount of pictures of menu items displayed across the windows. 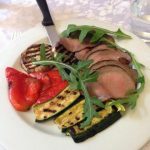 Even though I couldn’t understand half of the words, the pictures helped me discern some of the ingredients in the dishes – especially when I wanted to know if meat was breaded or grilled, for example. For me, the easiest places to eat were those with the menu image displays and places with lots of options (hooray for tapas bars!). One place I went was set up like a market with different booths serving different items. This was great because I could go up to the counter and see what was being served, so I had some sense of what it was before ordering. I loved the places with lots of options because I was more likely to find something safe there. On that same note, I noticed that restaurants were more likely to have a wider variety of food and knowledge of allergies than quick service places. It may be a little extra, but definitely worth the cost. I actually ended up having the same thing (Tortilla Española – a potato omelet, and pretty much one of the tastiest things ever!) at every place I went in Spain, because I knew it was safe. That may sound boring but it was so good that I didn’t mind at all – I even made it a personal goal to have it at least once a day! If you can find a traditional (or not) dish that you know is safe, it doesn’t hurt to keep that as a back-up option (especially if it’s delicious!). If you can, it doesn’t hurt to try and stick to basic, plain foods, like meats, fruits and vegetables to make things easier. A lot of my breakfasts in both countries were made up of eggs, meat, fruits and veggies and they were all super yummy! I feel like this is included in any allergy-friendly dining tips, but it’s an incredibly important one! I wasn’t sure what to expect when I went to Spain, so I was prepared with a huge bag of Epic Bars and Larabars to keep in my purse if I couldn’t find something for lunch. As it turned out, Spain is known for its wheat and barley production (who knew?) and it seemed like 95% of the meal options included bread and/or cheese. And of course, being allergic to gluten, dairy and tomatoes made dining out in Italy a bit difficult, as you can imagine. There were a couple meals in both places where I had to make do with my own food. It’s not ideal if, like me, you love trying new foods in new places, but having back-up options is better than being stuck without anything to eat. Also, always, always, ALWAYS have your medication or EpiPen on hand, just in case. I cannot stress that enough! Overall, I had a great experience overseas. It’s always going to be a bit difficult for people with food allergies to travel (especially if you have multiple food allergies like I do) but it’s definitely possible. I love that Tarah is a big supporter of food allergies not taking over your life and preventing you from experiencing new places and new foods. Now, after knowing that it’s possible to travel abroad with food allergies, I can’t wait to explore the world!